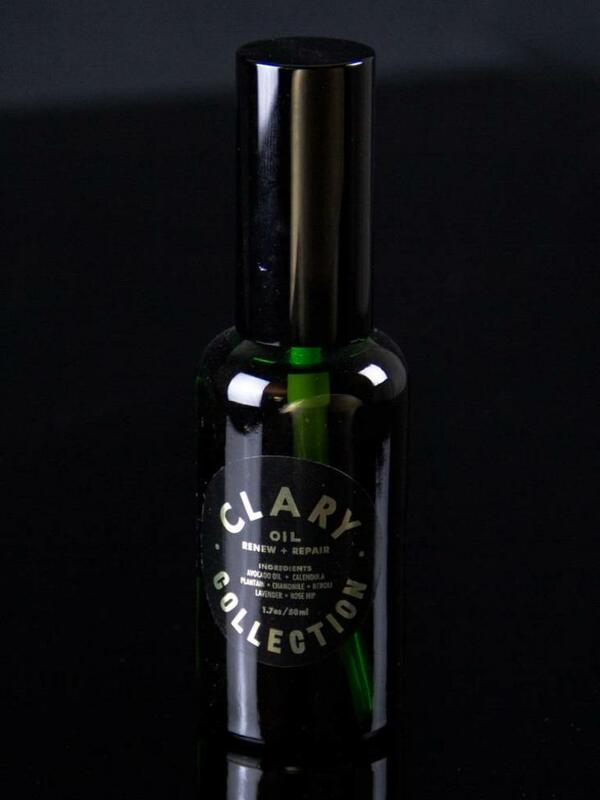 Clary Collection Renew + Repair Oil is designed to deeply nourish skin that is stretching or healing. The base of pure Avocado oil is naturally packed with rich Vitamin E and is infused with flowers and herbs, gently strained and bottled by hand. 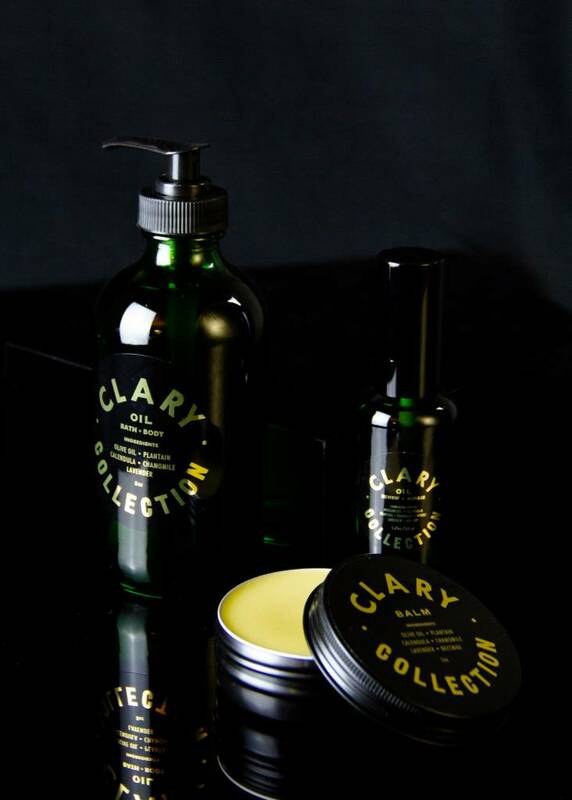 Clary Collection combines the infusion with oil of Rose Hips and Orange Blossoms (Neroli) bringing a burst of Vitamin C to encourage cell renewal. 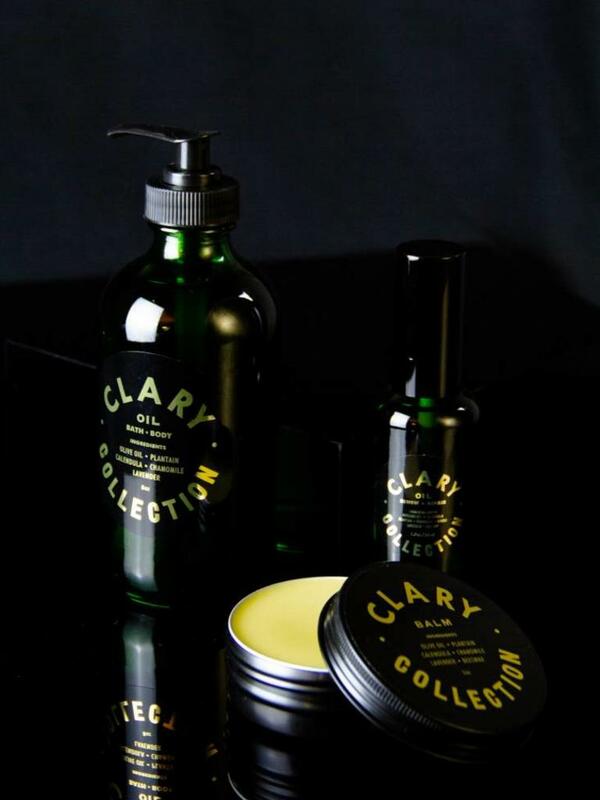 A gentle touch of Lavender calms and uplifts, creating an effective solution for soothing and energizing skin that is under stress.